I have loved Bath and Body Works body products for years. I think they have some of the best shower gels and body sprays for men, and when they have a good sale you can make a killing. So I finally decided to try their foaming hand soap for the first time last year. They have so many great scents to choose from. What I loved about the product was the texture. With one pump you have enough to wash your hands-add a little water and lather away that dirt and germs. Of course the scent was phenomenal as well, but I really was impressed by the feel of the product as I washed my hands. When water was added the foam spread nicely, not leaving the skin feeling sticky or tacky. The scent lingered slightly but was never too overpowering. Since first trying the product last year I've never looked back. I continue to buy them, switching up the scents each time. I haven't found a bad one yet! I love Bath & Body Works Gentle Foaming Hand Soap. My favorite so far is Garden Strawberries and I can't wait to try the variety of soaps they have. I decided to try Bath & Body Works Gentle Foaming Hand Soap because I was tired of using brands that weren't helping my skin and were drying my hands out. I am constantly washing my hands during the day and this soap leaves my hands clean and feeling very soft. This soap is made up of quality ingredients that are gentle to the skin and it gets the job done. This hand soap is gentle and nourishes the skin with Aloe and Vitamin E. The variety of scents are amazing and a light scent is left on the skin after washing. When I tried this foaming hand soap I loved it after the first try. The pump on the bottle is easy to push and a thick rich creamy foam is released to wash the hands. I only need one pump of foam to wash my hands and my hands are left smelling great and soft. Over time my hands felt healthier and I've never dealt with dry skin that cracks while using this gentle foaming hand soap. I have used other hand soaps and Bath & Body Works has hit a home run. I always keep this in my bathroom and in my kitchen for the whole family to use daily. I actually enjoy washing my hands because I know that this is a soap that benefits the skin by killing germs and replenishes moisture with Aloe and Vitamin E. It's been easy to get my girls to wash their hands too because they like pushing the pump and washing their tiny hands, afterwards they run around the house smelling their hands telling me to smell them. Highly recommend this hand soap over others because of the way it leaves the skin feeling soft and clean. Effectiveness Washes away dirt and germs. Very gentle on the skin. Scent There's a variety of unique fragrances. I like Garden Strawberries and Kitchen Lemon. 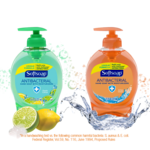 I adore the options of the different assorted bottle scents as I love a few of the Gentle Foaming Hand Soap fragrant varieties that Bath & Body Works have to offer. Deep cleansing foam soap that is gentle on the skin and with the ingenuitive foam formulation there is no sticky messes in the basin or on the bottle that can occur with various liquid hand soaps when dispensing too much. Also you only need a small amount of the Gentle Foaming Hand Soap on your hands to get a thorough clean. The Gentle Foaming Hand Soap is an antibacterial soap, removing germs from hands which is excellent for everyone, especially the kids. The only minor fault that I can find with this foam hand soap is that it is sold in a small volume bottle and is priced a little higher compared to the other brands, though for its quality in fragrances and its thorough cleaning feature its worth paying that little extra for high quality foam soap for the family. A definite recommendation to try this brand out first for foam hand soap purchases. As a preschool teacher I am constantly washing my hands during the school day. Many of our parents gifted us with these Bath and Bodyworks soaps at the holiday times to have around the classroom. While they are very nice smelling and the foam keeps the children happy, the perfumes in these soaps are far too irritating for my sensitive hands. I have dermatitis on my hands, and any extra chemicals or scents always irritate them. I also find that a liquid style soap gives a better clean, especially when trying to wipe off paint and marker stains. Effectiveness Putting the irritation factor aside, the cleaning power of these soaps is somewhat diminished compared to a liquid consistency soap. When I am at work, I find that the foam does not clean off paint and marker stains as well as the traditional liquid soaps do. The kids do enjoy the foam and so in that respect, it helps us to teach them about hygiene and proper hand washing. Scent The actual scents smell very nice, I needed to rate them this low because of the irritation factor on my very sensitive skin. Should you not be afflicted with sensitive skin, then these are indeed a very nicely scented product! I love the Bath and Body Works collection of foaming hand soaps. There are so many different scents to choose from, so every single taste and preference can be satisfied. The great thing about this soap is the gentle foaming. You always get the right amount of soap with one pump. It does not take forever for the suds to appear because they are there right from the start. Sometimes with other soaps it gets washed off when getting your hands wet, but this never happens with this soap so there is less waste. Also, the best part about these bottles is that you can get every single last drop out of the bottle by using the pump! No more wasted inches of soap at the bottom of the bottle that you have to unscrew the pump, turn the bottle upside down and try to fish out the last ten hand washes. With the foaming soap you get to use every last drop with convenience! That feature right there makes it all worth while in my opinion. I love all Bath & Body Works Products but I especially love the Bath & Body Works Gentle Foaming Hand Soap. The assortment of scents makes it very hard to choose from, they smell so good. These are great for kids, they dispense the right amount for them. They are not messy like the bar soaps and last a long time. I love that they are not that expensive and that you can always find them on sale. The bottles are cute enough to display in each bath and kitchen. I highly recommend Bath & Body Works Gentle Foaming Hand Soap. 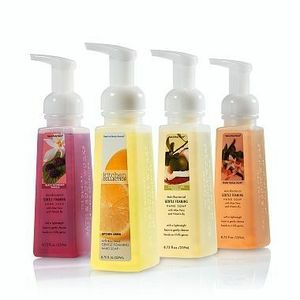 Effectiveness Bath & Body Works Gentle Foaming Hand Soap is very effective at cleansing and you don't have to worry about a mess with this soap. 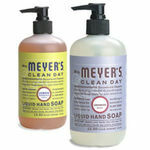 This soap leaves hands clean and smelling fresh, not matter what scent you choose. Scent The variety of scents that Bath & Body Works Gentle Foaming Hand Soap come in makes it hard to choose a particular scent. I can promise that the ones I have used which is many are heavenly. I love the wonderful scents of this Bath and Body Works Gentle Foaming Hand Soap. It is so nice to wash your hands and get a pick me up every single time. The foaming hand soap is very gentle and it is effective. I like that the foaming action isn't too much foam. The soap itself does not last quite as long as some foaming soaps. Also, the value isn't nearly as good for the quantity of soap you get as many other mainstream brands. The quality is there but, for me, this is more of a splurge brand. I love the lemon and the floral scents. I also love that there are always new scents. It keeps things as fresh as the lovely fragrance. I usually stick with the more mellow, natural fragrances as some of them can get a little wild. The scent does a great job lasting between washes and I actually like that. The pump itself works pretty well and it is a nice size so that you can press it without your wet hand slipping. I especially like the foam cleansers for children to use. They seem to use the proper amount - one squirt delivers an adequate size amount of soap, so they feel like they got a big dollop of soap & don't feel the need to pump again. It's also easier for them to lather around their hands and actually get the soap all over their hands. The only downside to that is if they lather it up while under the water, in which it just rinses off to quickly. I love the variety of scents available. The only downside of this product for me is that it doesn't contain only natural, safe ingredients for all of us. Effectiveness The foam is especially great for children, making sure they get soap all over their hands and get a lather more quickly than "regular" soap. It does a great job of cleaning grime, grease or dirt from hands as well. Scent B&BW offers SO many wonderful scents! And I love that they are fragrant & long lasting, but not overpowering. I love Bath & Body Works Gentle Foaming Hand Soap for many reasons. First of all, it smells great and comes in many different scents. My hands smell so good after washing them with this soap. I love how there are various scents available for each season and the holidays. 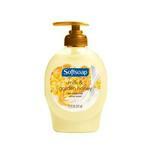 Secondly, this foaming hand soap is very effective and works very well at cleaning hands. You get a lot of suds when washing your hands with this soap which makes them feel extra clean. The soap pump in the bottle also works great. I have bought other hand soap brands and I have had trouble with the pumps clogging. I have no trouble with this issue with the Bath & Body Works Gentle Foaming Hand Soap. My one negative is that I do have some trouble getting that last little bit of soap out of the bottom of the bottle. The third reason I love this hand soap is the great price. They put it on sale all the time and at the end of the seasons and holidays, they put those scents on clearance. It makes me happy to have a bottle of Bath & Body Works Gentle Foaming Hand Soap sitting on my bathroom sink at all times.